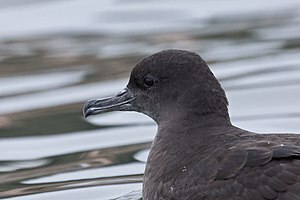 The humble little sooty shearwater is the world record holder for the longest annual migration of any bird. This seabird, with a wingspan of a little more than a metre, breeds on small islands in the South Pacific before setting off on a remarkable journey around the world that has them travelling up to 40,000 miles in a year. Which leads me to ask, why do birds migrate such long distances? Of course, the answer is to ensure the survival of the species. The shearwater finds safe breeding grounds and then pursue rich feeding areas across the oceans before returning again. If they were to stay in the one spot for too long, they would soon die off. The word migration comes from the Latin word “migratus” which means change. It’s a reminder that we too need to continue to change if we are going to survive. The world that we live in now is so dynamic that we’ll be left behind if we are unable to adapt to new technologies, new markets and new methods of communication. Whilst change can be scary and it would be nice if we could get by without it, our careers and level of influence are reliant upon our ability to develop new skills and become life-long learners. Let me encourage you today to not stay in the one place too long. Don’t be afraid of the change that’s going on around you, but embrace the migration and find a way to thrive. I love changes, especially the ones I see in myself going on this Lenten Season and the preparations for warmer weather, more gardening of my God-given abilities! Have a MOST blessed Eastertide, springtime, and remainder of Holy Week, Coach!